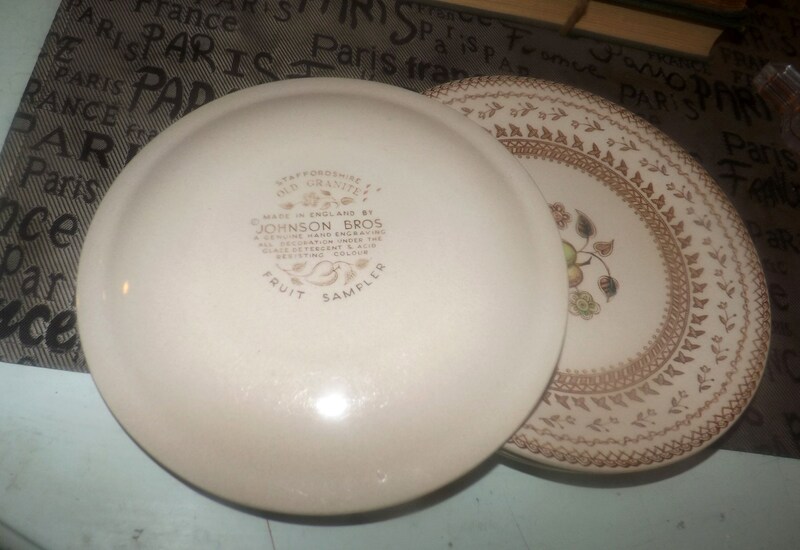 Set of 4 vintage (mid 1970s) Johnson Brothers Fruit Sampler pattern bread-and-butter, dessert, or side plates. In VERY GOOD! vintage condition with NO! 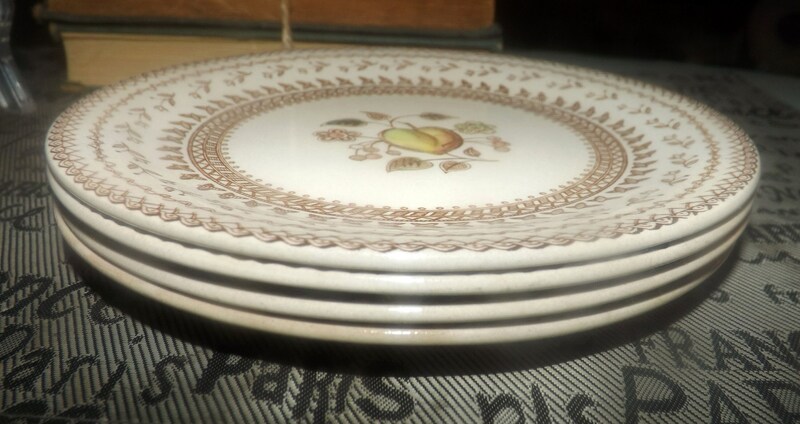 chips, nicks, cracks or fleabites and MINIMAL! crazing. 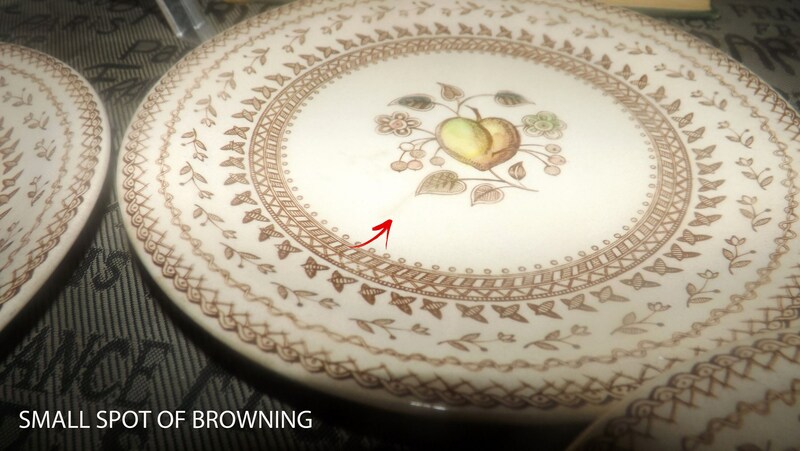 Two of the plates have spots of browning through the glaze one to the front surface and edge and the other only to the edge (please review each of the posted photos for a complete visual of the items). Otherwise, there are NO! 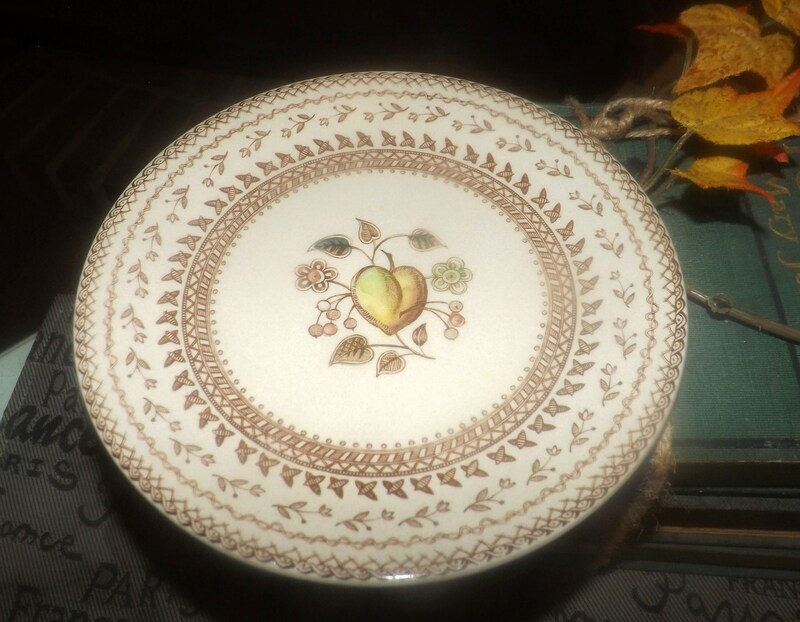 other marks or stains, The fruit and floral imagery is bright and vivid with LITTLE TO NO! fading apparent. 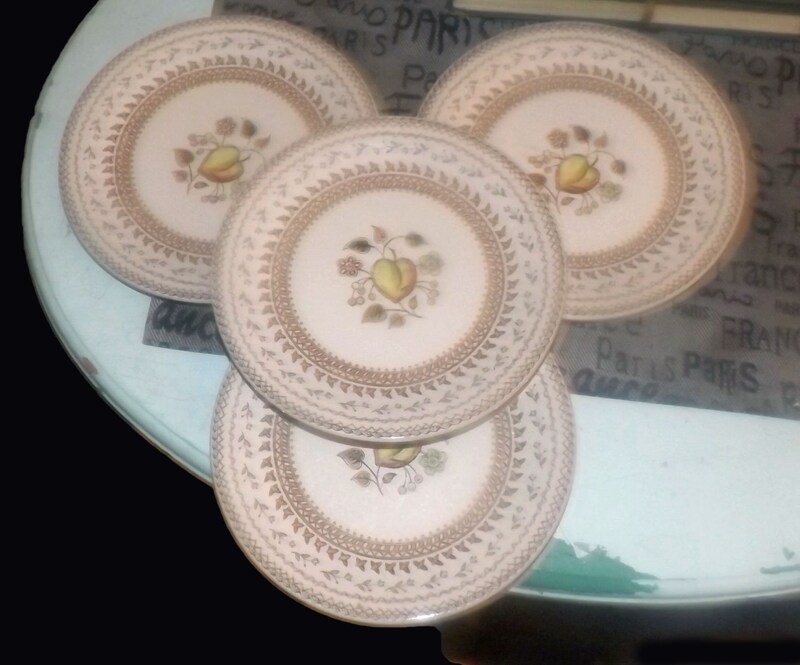 Approximate measurements: 6-3/8" in diameter (measured edge to edge) with a smooth edge.